• هناك 166 غرفة و 19 جناحا. • مطعم River، قاعة مؤتمرات سافوي، حانة لوران بيرييه، حانة الأمريكي وبهو التايمز. • قاعات اجتماعات ومؤتمرات تتسع ل 160 شخص وحمام سباحة مغطى ومعرض للياقة البدنية والمسرح. •Thamseذات إطلالة جميلة على النهر Westminster يقع في ويستمنستر . • 1889: Opening of the Savoy Hotel by Richard D’Oyly Carte. The architect is Thomas Edward Collcutt. • 1890: The famous hotel manager Cesare Ritz gets hired to run the Savoy. Cesare Ritz later founded the world famous Hotel Ritz in Paris. Ritz brough in his partner Ritz the chef Auguste Escoffier. • 1898: Ritz and Escoffier were dismissed from the Savoy over the disappearence of a large amount of wines. • 1901: Death of Richard D’Oyly Carte who is succeded by his son Rupert D’Oyly Carte. • 1905: A spectecular « Gondola Party » was given by the George A Kessler. • 1910: At the occasion of the New Years Evening at the Savoy Maw Coper designs a poster. • 1911: A photograph is taken of the Savoy Hotel staff. • 1914 May 20: The Front Cover of Tatler magazine shows fashionable women walking out of the Savoy. • 1941: Hugh Wontner becomes Managing director of the Hotel. • 1955: Diner given by the Ambassador of Persia in honor of Queen Soraya and the Shah. One of the most glamorous post war reception at the Savoy. • 1979: Giles Shepard becomes Managing director of the Hotel. • 1980: The Hotelier Charles Forte mad an unsucessful attempt to gain control of the Savoy Group. 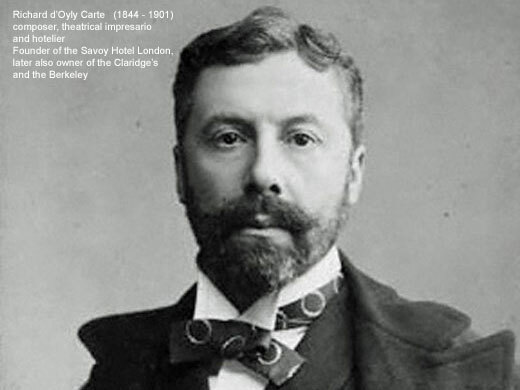 • 1985: Death of Bridget D’Oyly Carte without children giving an end to the family ownership of the Hotel. • 1994: Ramón Pajares becomes Mamanging director of the Hotel. • 1998: Blackstone Group, an American private equity firm, purchased the Savoy hotel group. 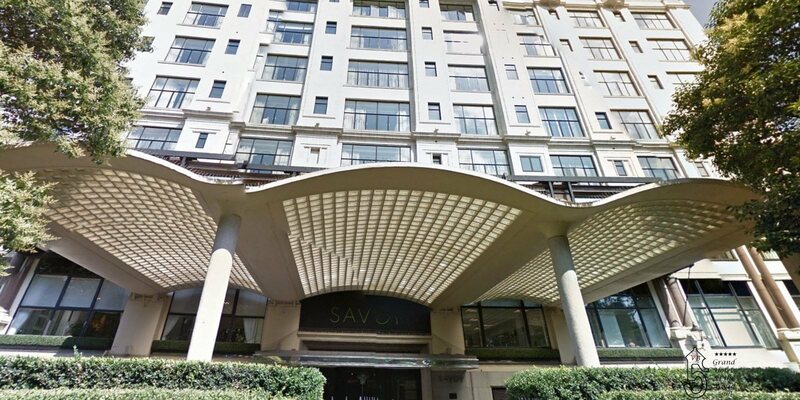 • 2004: The Savoy Hotel was taken out of the Savoy Hotels Group and sold to Quinlan Private. The Savoy Hotels Groups was renamed Maybourne and continues of ownership of the 3 other Hotels, The Berkeley, Claridge’s and The Connaught. • 2005: Quinlan Private sells the Hotel again to Prince Al-Waleed bin Talal from Saudi Arabia. Quinlan sells the Savoy Theater to the Ambassador Theatre Group and the Tulbart Group. • 2007 December: Closing of the Hotel for renovation. • 2010 October: Opening as Mivart’s Hotel. • 2011: The historian Susan Scott makes a Video about the Hotel. • 2013: Ambassador Theater Group buys 100% of the Savoy Theater.